I think they are made really well for how cheap it is~ I really like the glossy finish and the apple logo is in reflective silver just like the actual back side of the iPhone :) My iPhone doesn't even look like it has a case on! 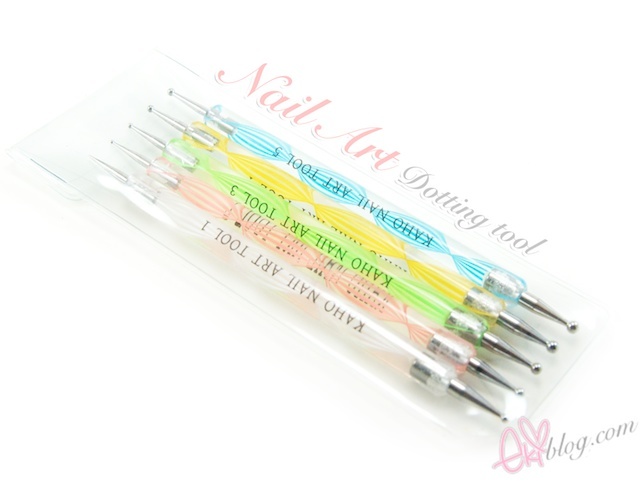 Nail Art dotting tools look so cute. 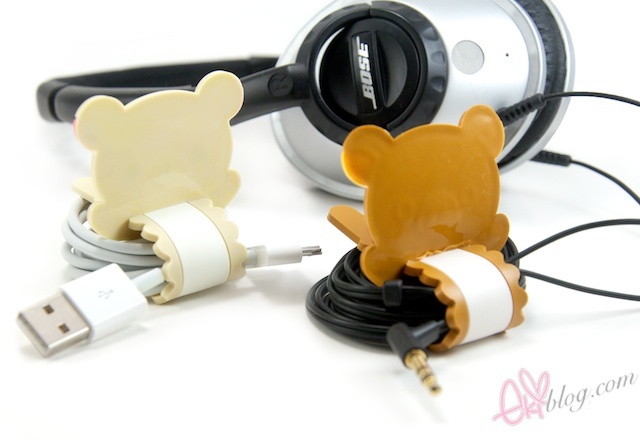 LOVE the cord holders! So cute! Love the complete haul!! ha ha they are way too cute!!! 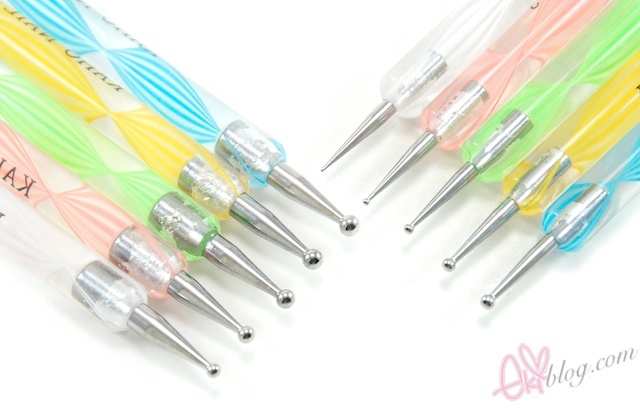 Your nails are soooooooooooooo kawaii-ly spring^^ I really wanted to get those dotting tools now!! hehe, such a great deal, did you use them to create lines as well? or you used other tools like skinny brush? also, iphone cases are so so cute, especially pink one, I want pink one too !! OMGish. I want everything on your haul!!! Ebay: * add to chart * bam! I’m hosting a giveaway ! Very cute nails. The color combo is not my thing but I always like it on other people. And recently, well, just yesterday actually, i joined instagram :P followed you asap haha! Your nails are gorgeous!!! I definitely need the dotter because no way can I make perfect circles like that without one:) I want that laptop case too!!! My favorite are definitely the card holders but the dotting tools seem like a great bargain. Wow those are great prices!!! I'm so tempted to buy stuff now! 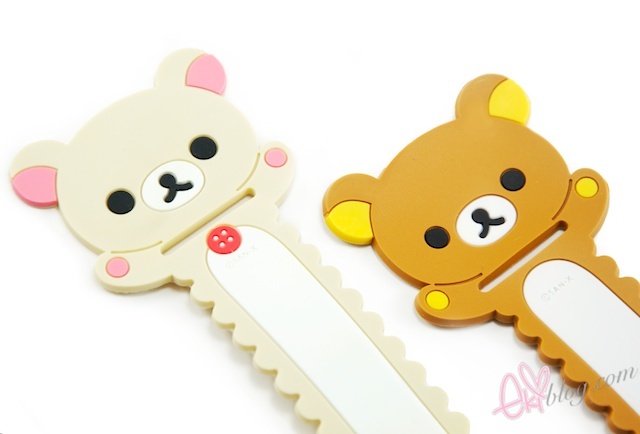 I personally love ebay XD haha like I know what I got was fake but that was the only place that had a Rilakkuma phone case for my phone ^-^"
Your nails are ADORABLE! ♥♥ & thank you for sharing all of these super-cute things! Thanks so much for sharing! I've always been curious where people buy their stuff on ebay. Love the manicure, that color combination is bright but still girly! 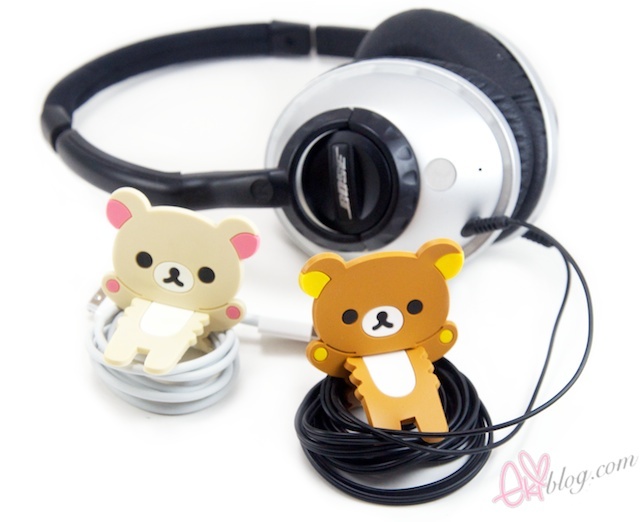 And the rilakkuma cord holders would be great for my mom since she hates cords haha! whoaaa love everything that you bought <3 love it.. !! I'll try to make these cute nail on me, love them!!! omggg your nails are so cute! i love the polka dots and stripes. 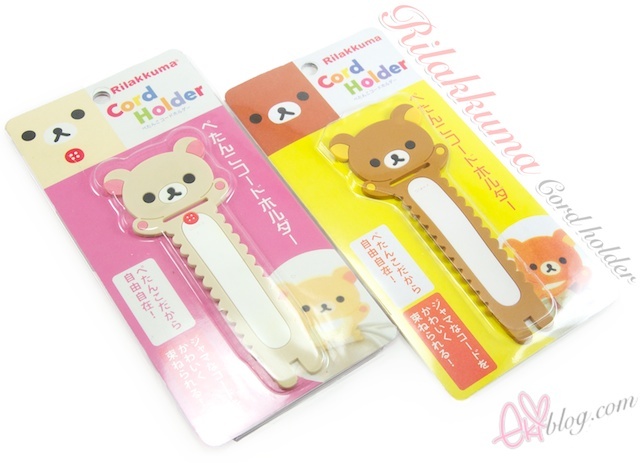 also, the rilakkuma holders are so cute and useful! Your nails look perfect! 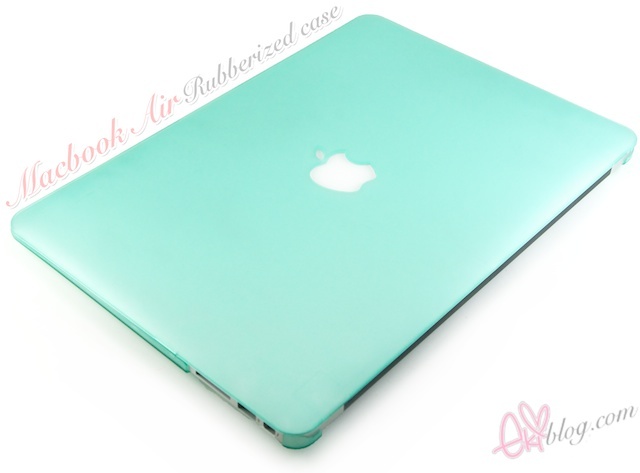 And oooh what a nice color for a Macbook cover! Love the colors on your nails! and YOu did them perfect too! Great haul! Wow you got some pretty good things ^____^ tempting to buy some stuff now! Awwww! All is soo sweet! I'm a "ebay buyer mania"!! Adorable green-mint! I really love the color! Ai cada coisa fofo, flor... amei tudo. So pretty! Aww pink and green are my favorite colors. You found some really cute products for cheap! I might have to try the nail dot tools one day too. Great post! You got some good stuff! I think I'll definitely have to invest in that cord holder. I hate stray cords! oOoOoOoo I like that macbook case-thing : D it looks cool! I'll immediately grab your rss as I can not to find your email subscription hyperlink or newsletter service. Do you've any? аrtiсles. Κeep up the gooԁ ωоrk!